The electric scooter fiasco has been, uh, quite the entertaining one to watch. 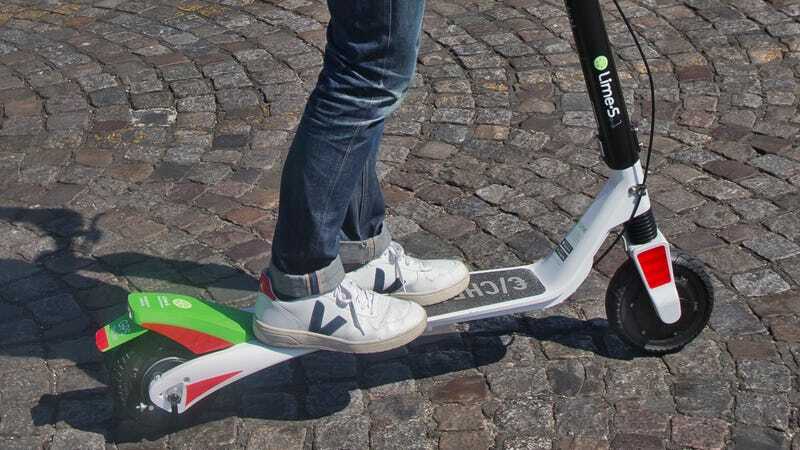 Whether it be Lime, Bird, or any of the other e-scooter situations that have resulted in mass annoyance, banning, and destruction, there have been plenty of storylines to follow. Now, there’s a new one. Namely, Lime scooters might be falling apart under their users. This is great news for anyone who has absolutely abhorred the plague of e-scooters that have been taking over one city at a time. As per the Washington Post, Lime is recalling a specific model from each of its cities because the damn things could collapse right underneath you. And yes, for the record, that’s the same exact Lime whose scooters are already prone to battery fires. Yikes! The interesting thing is that the model is specifically stated as being likely to fall apart “when subjected to repeated abuse”—so, uh, literally because people beat on these damn things wherever they end up. On Friday, that statement was amended. Apparently, it’s only the scooters manufactured by a Chinese company named Okai that are falling apart. So, Lime is recalling them. Y’know, just in case they rattle apart underneath you. According to the Washington Post article, Lime has been pretty damn evasive about answering any specific questions regarding the whole fiasco. They didn’t actually mention how many cities are hosting the faulty scooters, how many scooters are being affected, and wouldn’t even give an estimate. They’re just saying they’re always looking for ways to make things safer for the ol’ customer. Lime has also declined to comment on how long this has been happening, but there’s a Reddit thread from September riddled with demolished scooters. Folks have been thrown off of them when they snap, suffering some pretty unfortunate injuries. It’s certainly not a good look for the company, although I’m sure there are plenty of folks out there who are kind of stoked to see these awful things riddled with self-inflicted disaster. In any case—be careful when using ‘em, and maybe tell your friends not to. These Lime scooters don’t seem fully reliable, not quite yet.